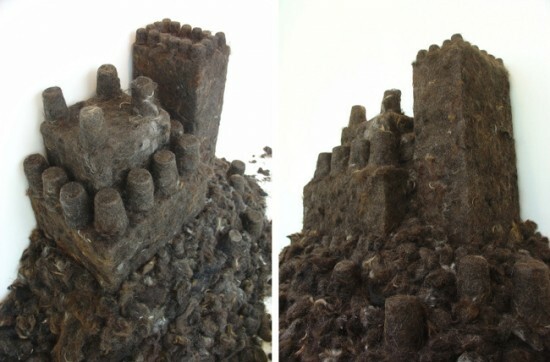 Miami-based artist Agustina Woodgate has used clumps of human hair to create 3,000 bricks, which were then used to build two fantasy castles for her I Want to Be a Princess series. Human hair seems to be a very popular art medium these days, considering a number of artists are using it to make all kinds of things, from hair necklaces, to high-heel shoes and even hair dresses. 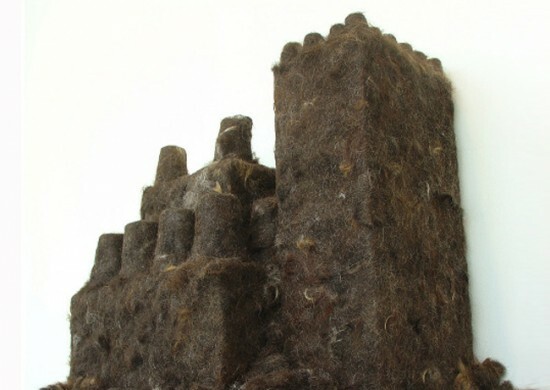 The last artist to use human air in her art is Agustina Woodgate, who recently used it to built two castles. 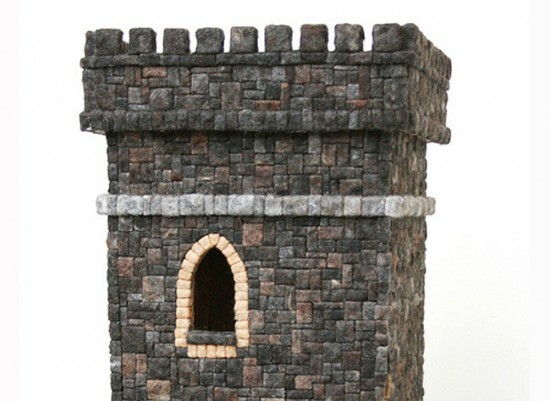 The first one, called Tower, stands around four feet tall and is made from small tightly-bound hair bricks. Blonde hair was used for the castle’s window frame, and she made use of white hair from senior citizens, for the narrow ledge above the window. 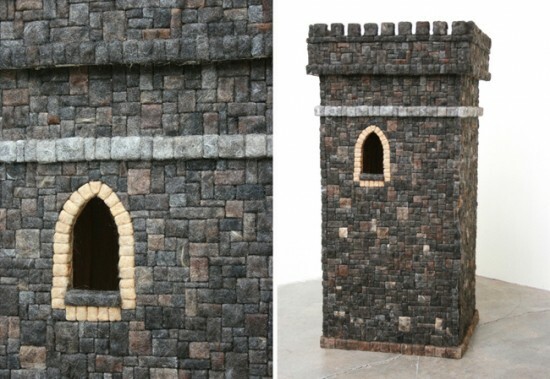 Most of the castle bricks were created using a mix of different-color hair that actually looks like clay. Her second hair structure, called Sandcastle, actually looks like it’s been molded from sand, using a children’s bucket. Agustina Woodgate is known for her choice of unusual materials, like discarded materials and stuffed animals. Creative and Cool Ways To Reuse Cars. Girls! Stop Doing This To Boys!